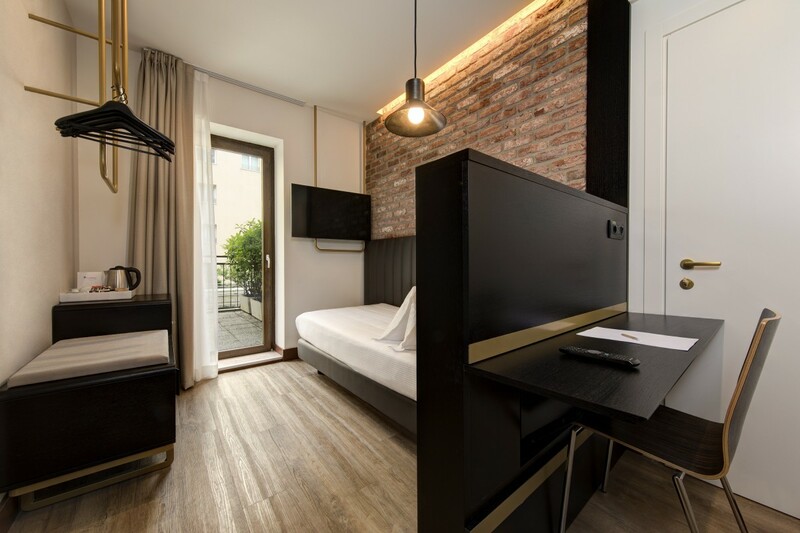 If you are looking for clean, comfortable rooms equipped with every ease, such as free wi-fi, at Hotel Tritone Venice Mestre you will find what’s right for you! 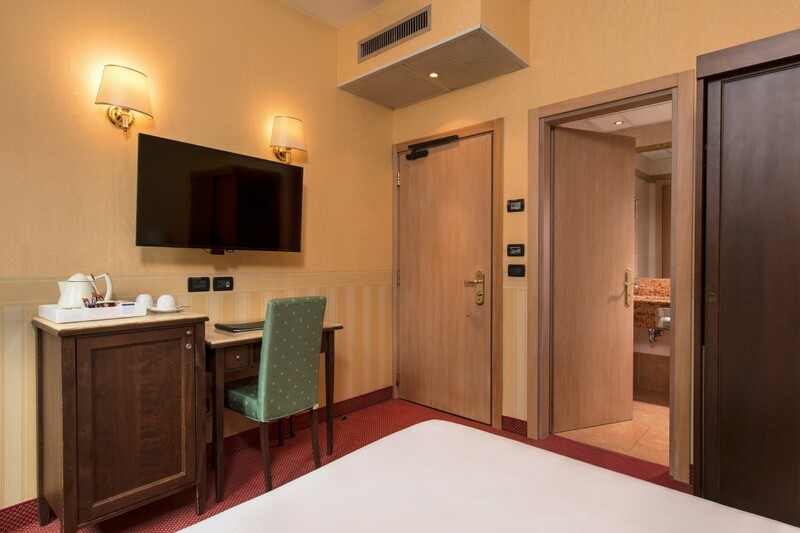 Discover our Classic Rooms or the brand new Deluxe Rooms and enjoy a relaxing break, just few minutes away from Venice! Are you traveling as a couple, with a group of friends or with your children? 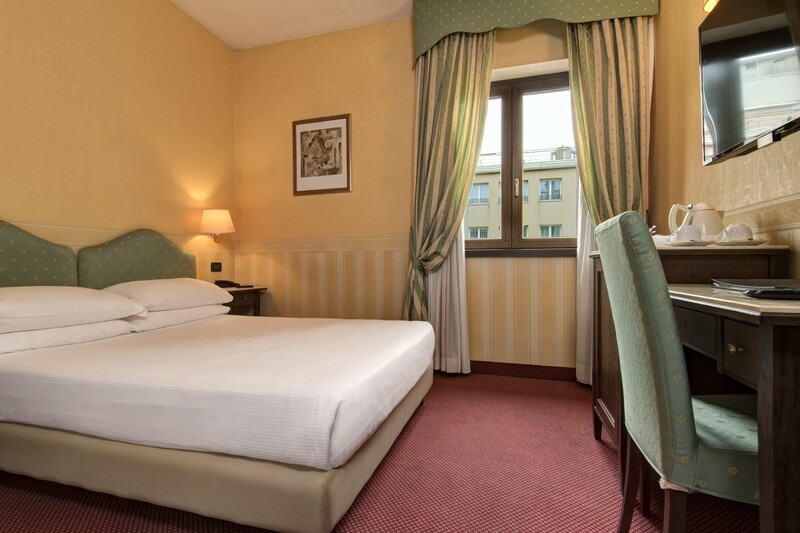 Whatever the purpose of your trip to Venice is, we will be able to guarantee you the room that best fits your needs. Furthermore, in case you have specific requests, it will be sufficient just to point them out when booking! Choose among our proposals the room that best suits your taste and needs and we will take care of everything else, ensuring we always provide you an impeccable and custom made service as well as the opportunity to book the best available online rate! 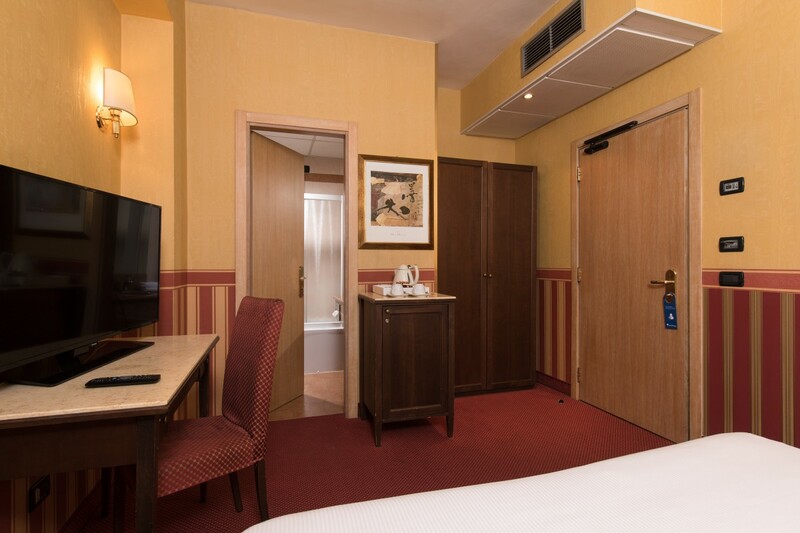 Everything is easier with our Classic Rooms: functional, comfortable and welcoming! 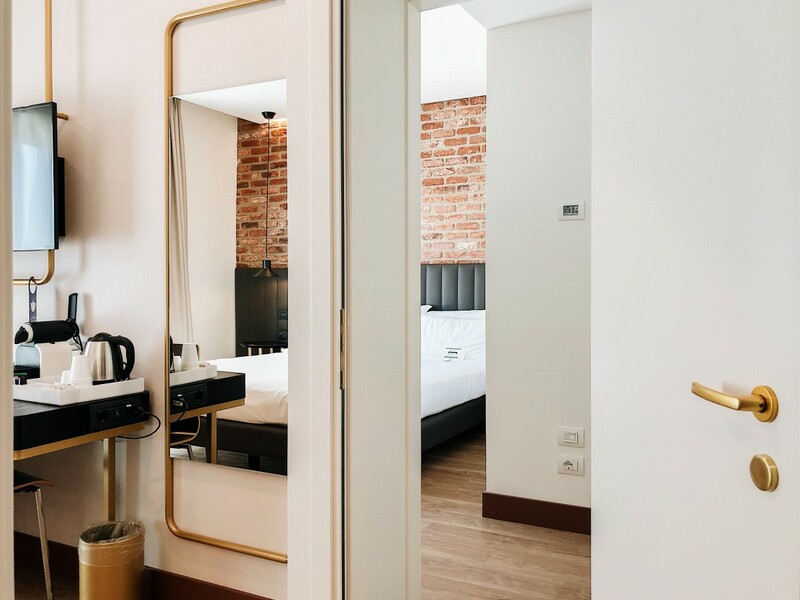 Available in double and triple, they are the perfect solution if you are traveling alone or with friends and you are looking for a simple and practical accommodation for your holiday in Venice! 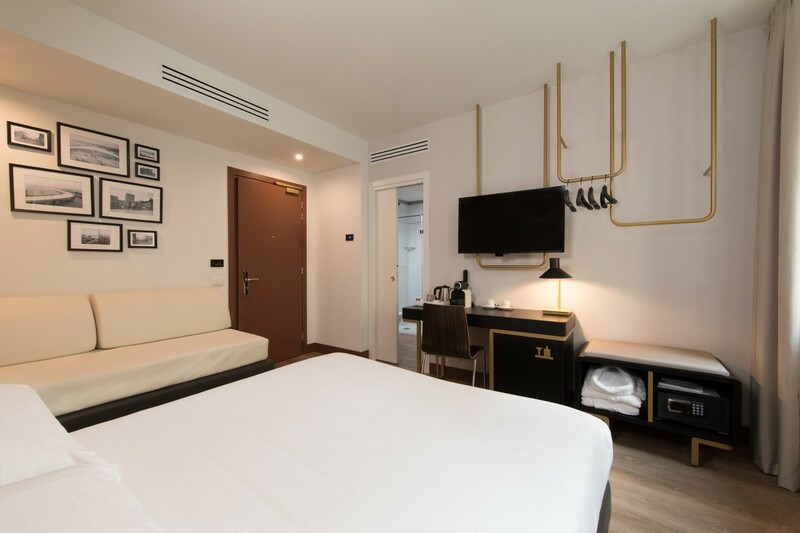 After a day spent wandering in Venice or after work day, here at Hotel Tritone you will enjoy the stay suitable to all your needs. 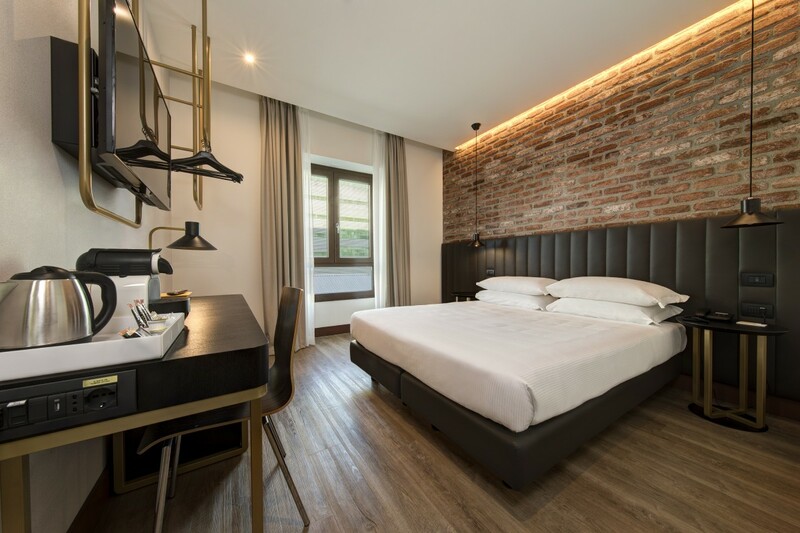 Furnished with elegance and functionality, the rooms are equipped with all modern comforts such as free wi-fi, LCD television with Sky Vision Digital channels and tea and coffee making facilities. 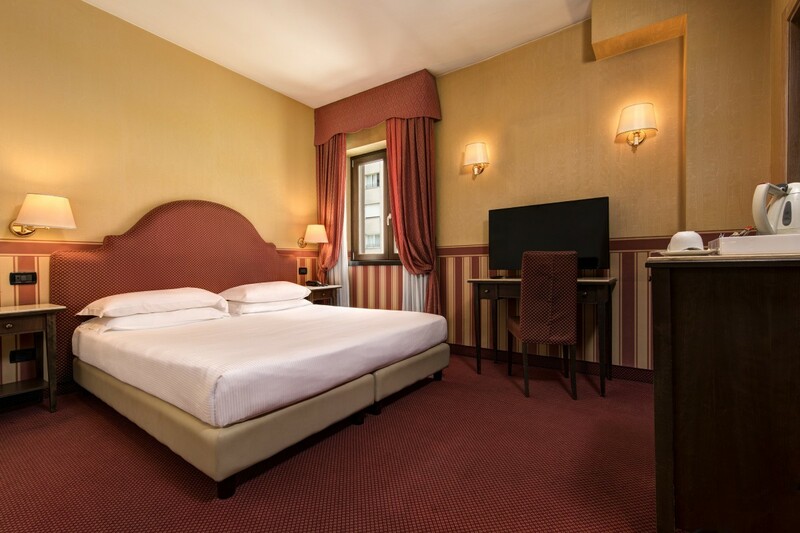 All Classic Rooms are soundproofed and available with 2 separate beds or a Queen bed. News 2018! 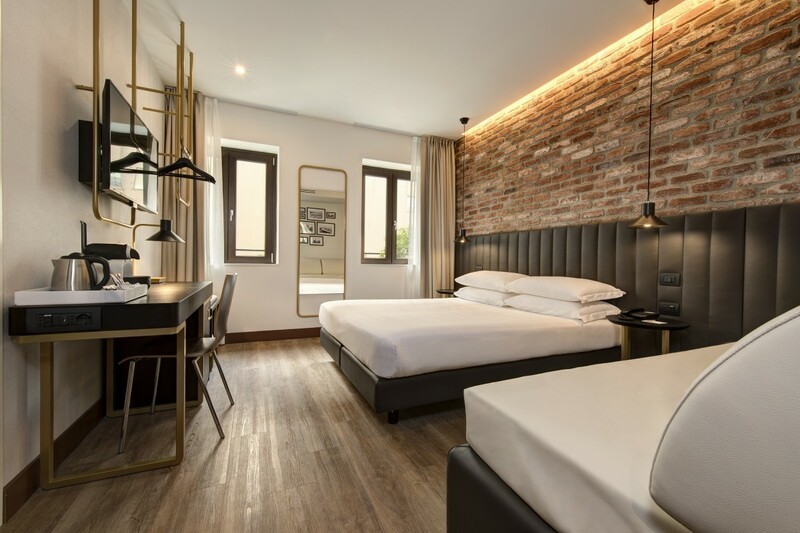 Our brand new Deluxe Rooms are the ideal accommodation if you are looking for relaxation and comfort, just few minutes away from Venice city centre. 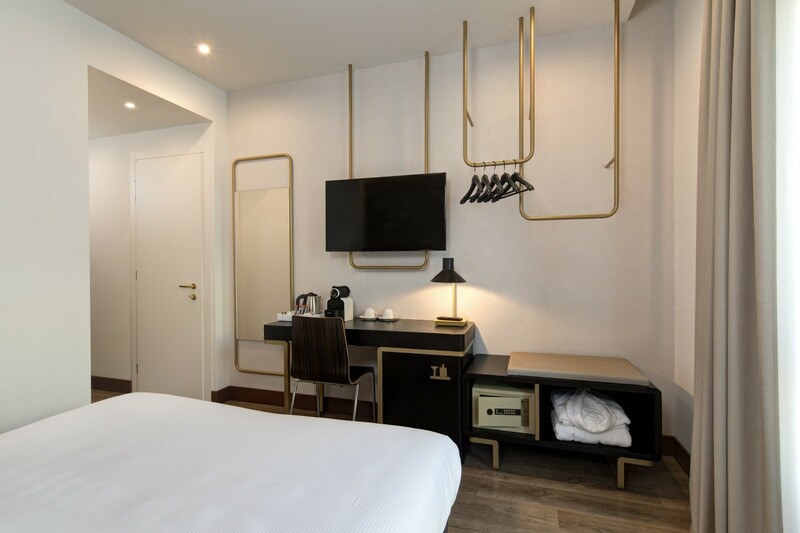 The Deluxe Room is perfect if you are looking for a spacious environment that features modern lines and touches of design, without giving up many included services, in order to ensure the maximum comfort. 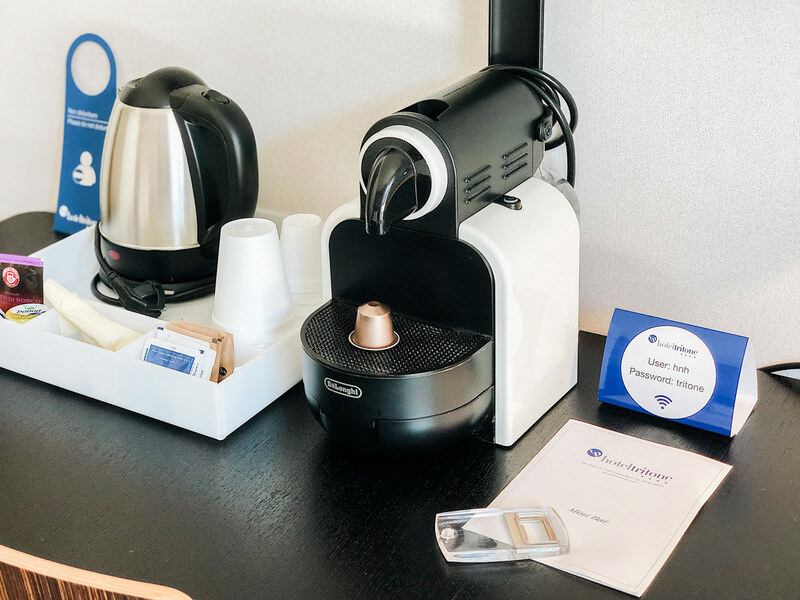 After a busy day in Venice take some time for yourself: surf the internet thanks to the free Wi-Fi connection, comfortably lying on the Queen bed, pamper yourself with a relaxing tea, thanks to the tea making facility or enjoy an excellent Nespresso coffee. 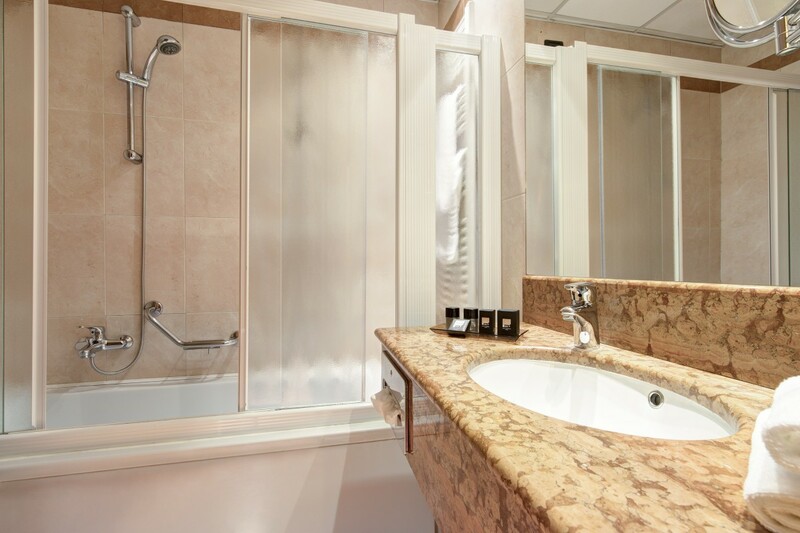 Furthermore, at the end of the day there is nothing better than a refreshing bath or shower: at your disposal our free shower set with bathrobe and slippers and Courtesy kit branded “Salvatore Ferragamo”. Do you travel with your family or in a group? 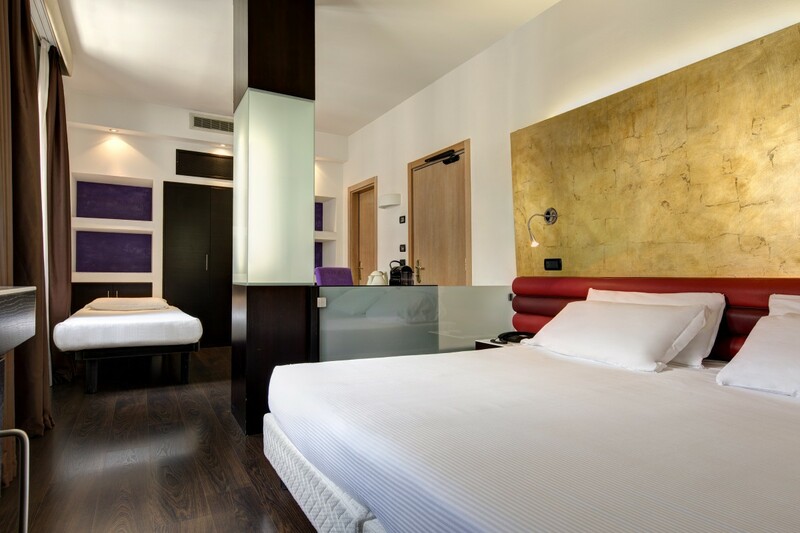 Many attentions in the modern and spacious Triple Deluxe Room, which can accommodate up to 3 people. 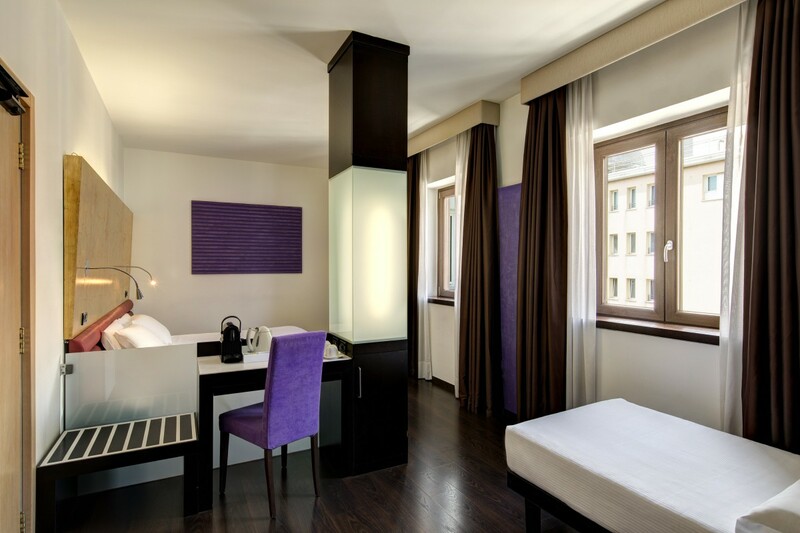 The room is furnished in a contemporary style and are also available rooms that feature a more classic style in the shades of purple. 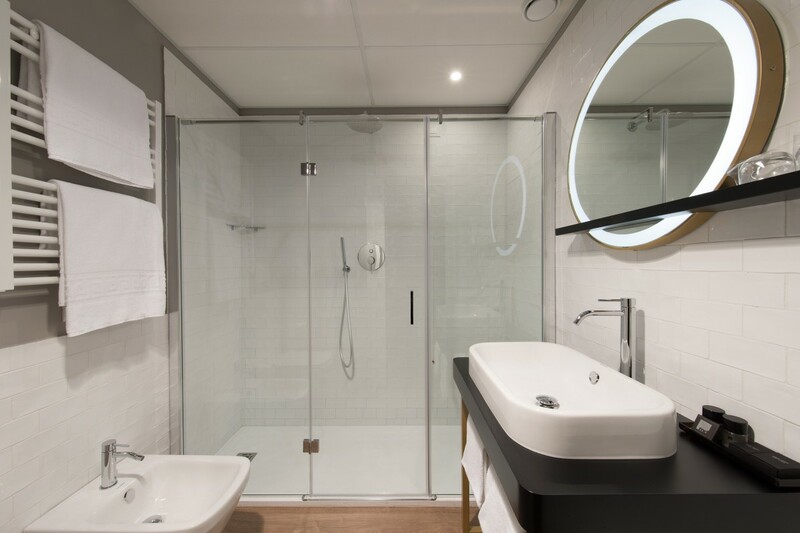 Lastly, if you need even more space you can choose the Connecting Deluxe Room: 2 spaces connected to each other, which can accommodate up to 4 people.